WASHINGTON—Wounds of history, however long ago inflicted, can begin to heal as soon as they are acknowledged. World War I ended 100 years ago. Many of the conflicts the United States is engaged in around the world can be traced back to the country’s most forgotten war. Its unlearned lessons, traumas, and repercussions continue to haunt us, more than we realize, perhaps because those who served have yet to be publicly honored to the extent warranted. 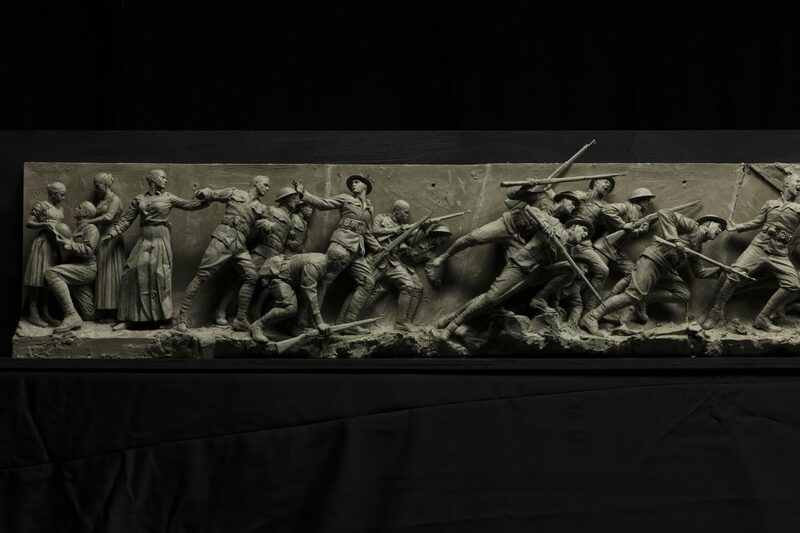 To that end, the National World War I Memorial in Washington is finally in the making. 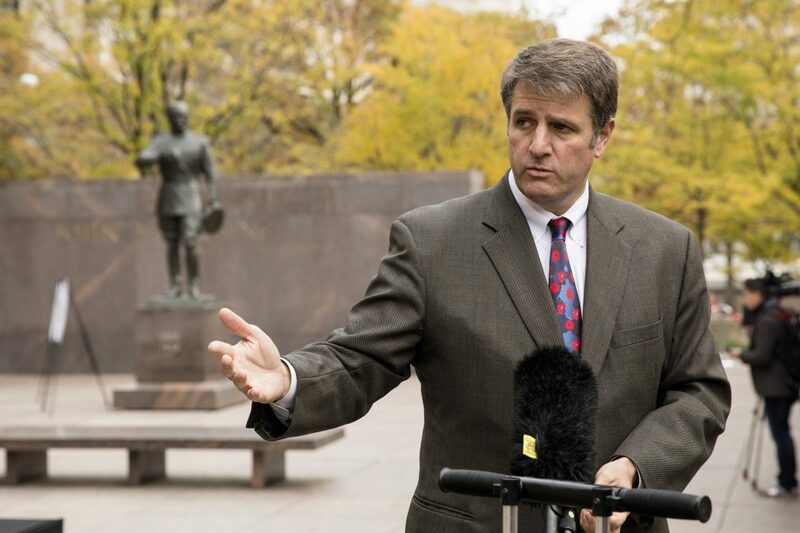 “We want people to come face to face with the humanity we find in those who served in this war. 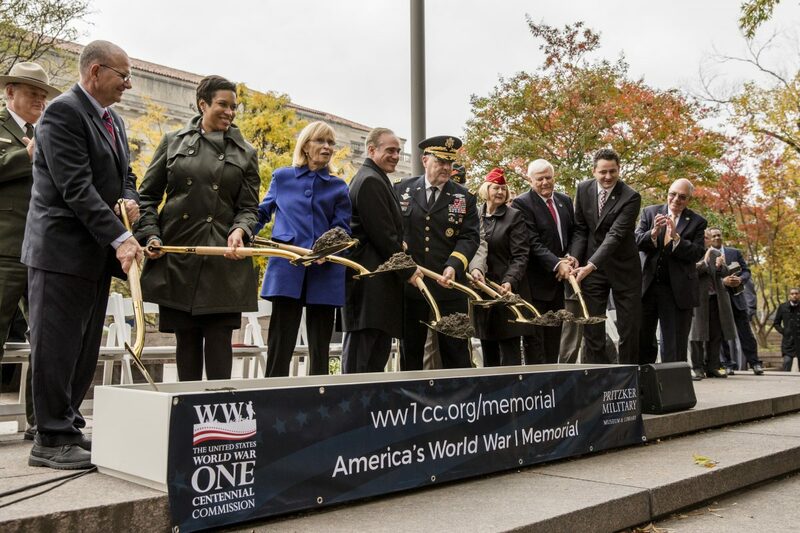 … It may be long overdue, but today marks another point in the journey of making sure they are not forgotten,” said Weishaar, the architect and lead designer of the memorial, on Nov. 9, 2017, at the official groundbreaking ceremony in Pershing Park, with views to the White House. Howard has been designing the sculpture for two years. He started by taking photos of models wearing World War I uniforms in action poses and drawing scrolls of the storyline. He revised the design concept about a dozen times, while intermittently presenting it to the commission for feedback. 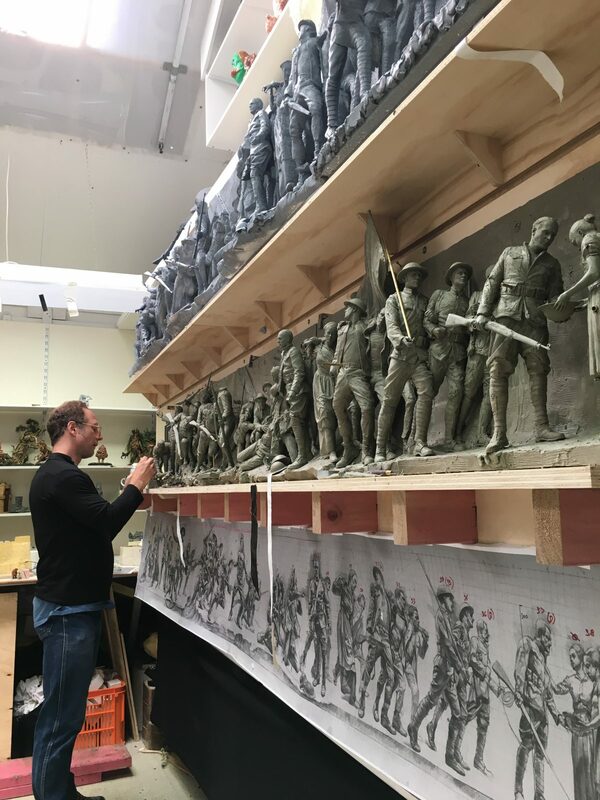 By mid-December, Howard finished the 9-foot-long maquette (one-sixth in scale) with 38 figures. In February 2018, he will present it in Washington to the Commission of Fine Arts, which oversees the project. 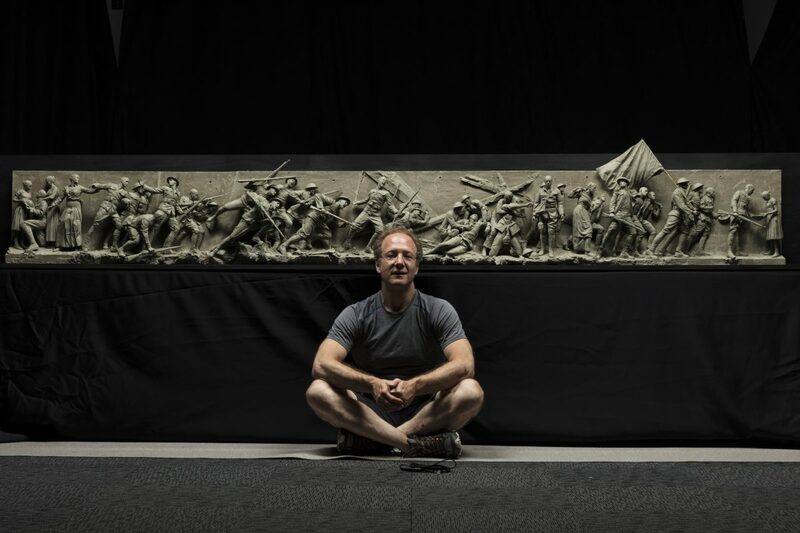 After it’s approved and any agreed-upon changes incorporated, he will create a medium-sized, 18-foot-long maquette (one-third in scale) that will enable him to finally extrapolate all the design details to the full-sized sculpture. 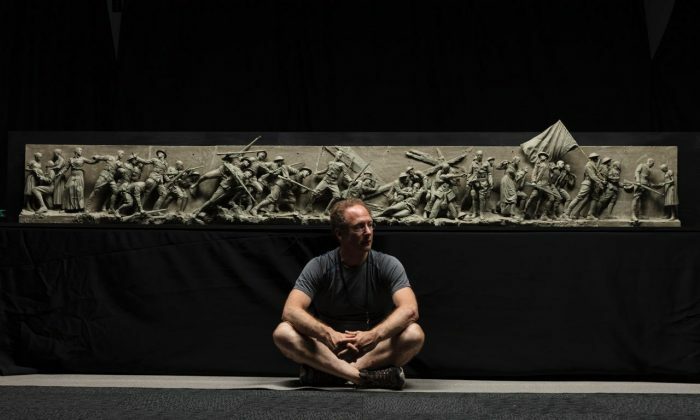 Once “A Soldier’s Journey” is completed, the 65-foot-long relief sculpture (with the tallest figure standing at 7 to 8 feet) will be the largest bronze sculpture of its kind in the world. 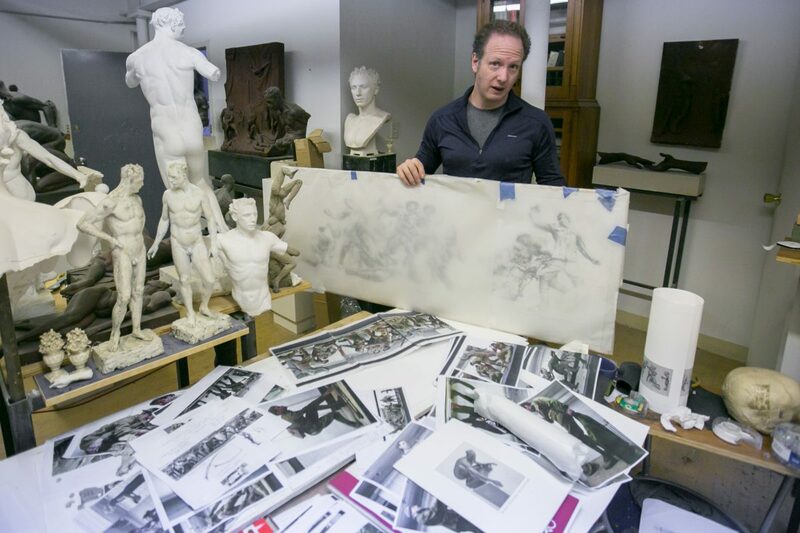 On March 21, Howard will give a public lecture and until March 23 will exhibit his drawings and the small maquette at the New York Academy of Art (his alma mater). 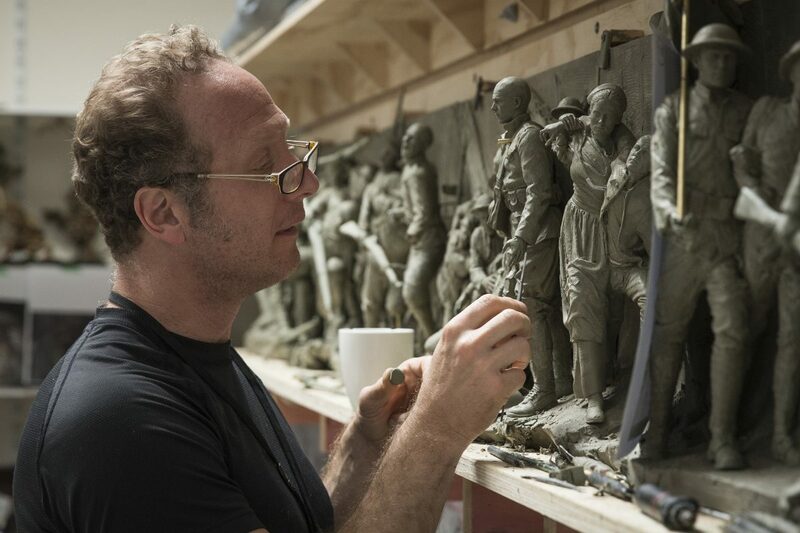 Also, a documentary film about the making of “A Soldier’s Journey,” produced by Weta Workshop, will be released in March. “Sometimes things that are very profound are very simple,” Howard said on the phone a few days after he had completed the small maquette. “The war is ultimately about people. 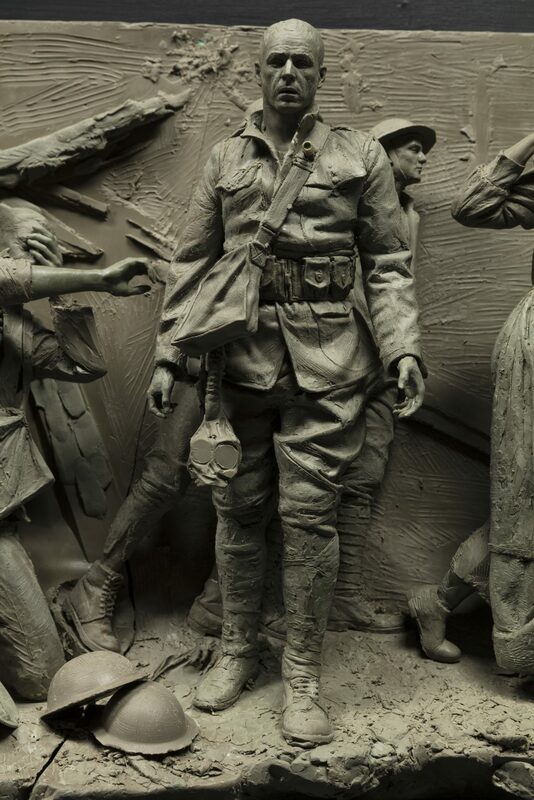 These are real people [who served in World War I].” The responsibility he feels in doing them justice stays in his mind constantly throughout his creative process. More than four million American families sent their sons and daughters to serve in World War I. The casualty rate was greater than in World War II, totaling 116,516, and another 200,000 were wounded. But the numbers, even names, can become an abstraction, if that is all we see. Numbers tell only a fraction of the significance of the war that was supposed to end all wars. 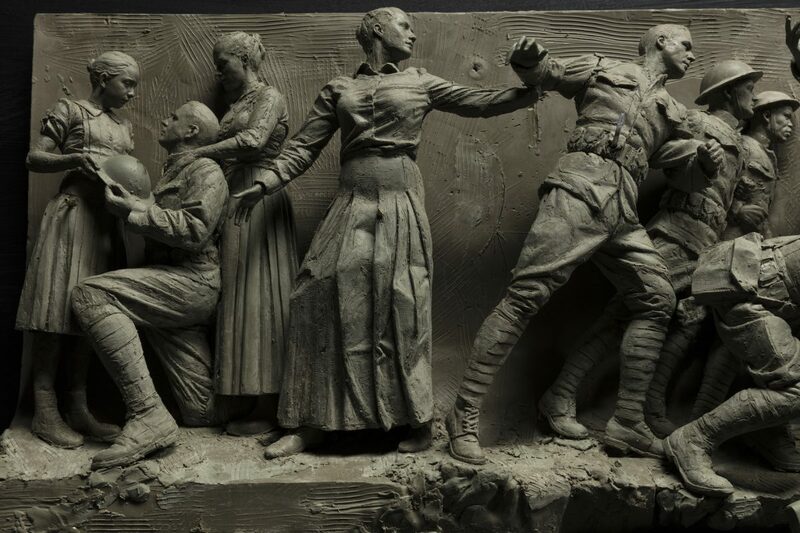 The narrative of “A Soldier’s Journey” progresses from left to right in a series of tableaus that overlap and transition into one another. 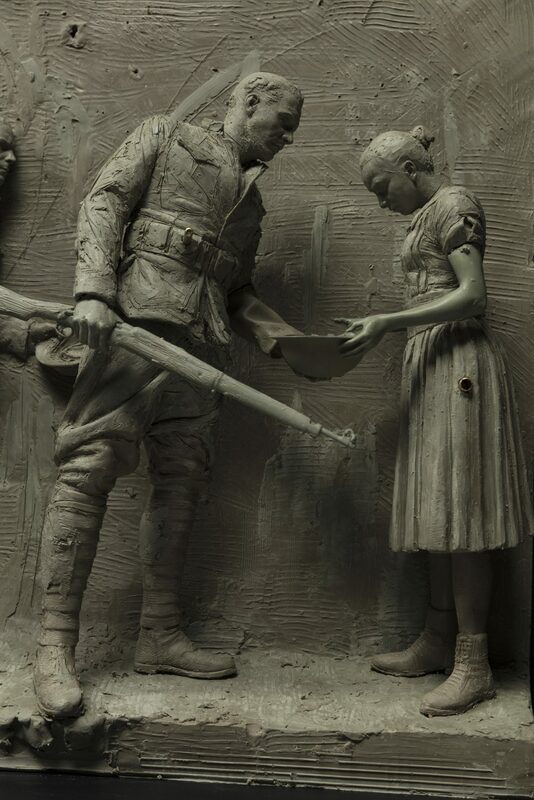 The two ends of the relief are bookmarked by the soldier’s daughter. In the initial scene, the soldier is about to leave his family. He’s on his knee, facing his daughter while they both hold his helmet. His wife literally and figuratively stands behind him and places her left hand over his shoulder near his heart. It’s as if the family is coming to terms with the imminent sacrifice. That figure representing Daly is in the center of the composition. His chest is open. It’s about “courage and the strength to go forward into places that you have never traveled to before. They are stepping into the void,” Howard said in a preview video of the documentary that will be released in March. 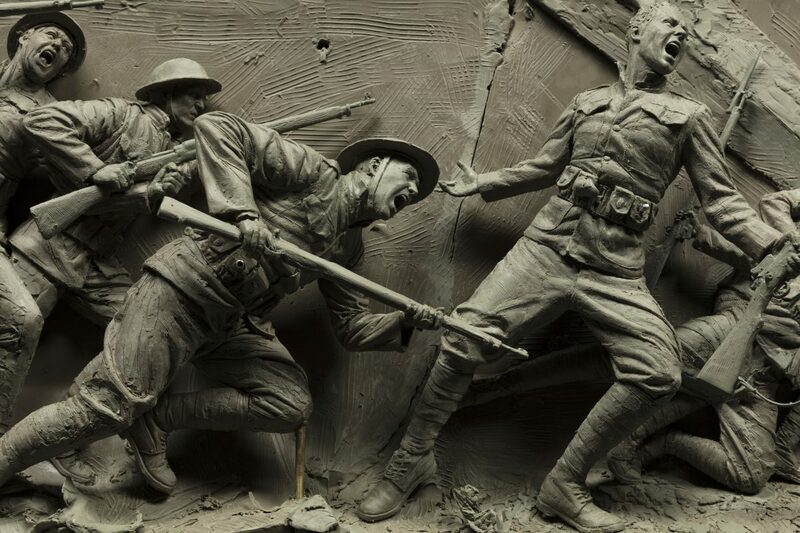 Daly’s outstretched arm directs you to the following scene about the cost of war—the wounded men. Their fellow soldiers carry them, showing the camaraderie of brothers-in-arms. The helmets on the ground represent the unknown, fallen soldiers of the war. A nurse, representing the caretaking and fortitude of the women who served, holds a blinded soldier affected by mustard gas, one of the many horrors of the war. The next figure stands away from the wall, shell-shocked. He’s the only figure in the composition who faces the viewer. It’s a powerful juncture in the composition. It’s about connection. The viewer “can look into the eyes of this soldier and sense the emotional gravitas,” Howard said. The following scene shows the hero returning home. A group of soldiers march forward, strong again as they proceed into the future. One carries a flag, which is the highest point in the composition. “This flag bearer and grouping represent the way our country changed, how it became an industrial superpower from an agrarian nation,” Howard said. Finally, the soldier returns to a quiet scene where he hands his helmet to his daughter, who looks into it as if it is a vessel. “She divines the future and she represents the next generation, which is World War II,” Howard said. 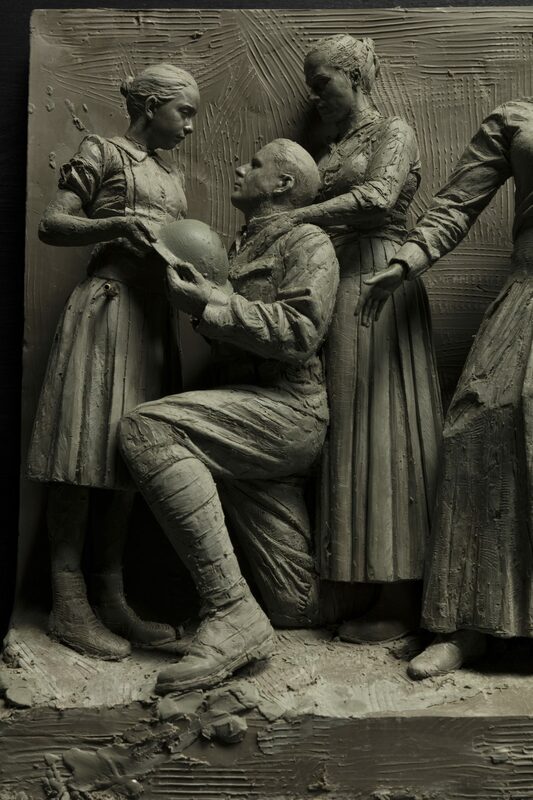 Together with Weishaar, Howard had decided to create a sculpture in relief on a wall that would fit at the west end of Pershing Park and that would face the existing sculpture of General Pershing, across a reflecting pool. 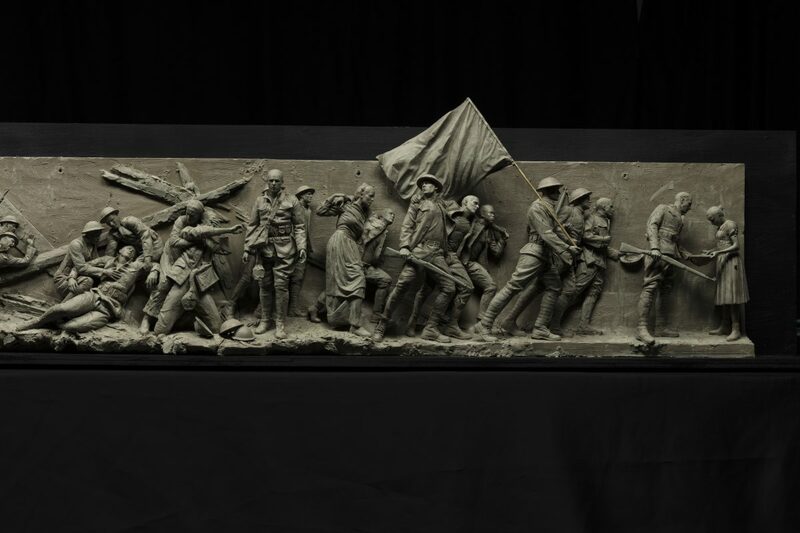 A relief is also the most efficient way to tell a story in sculptural form because many figures can be incorporated into a compressed pictorial space that is three-dimensional. “There’s also a time factor in the whole idea. When people walk along the relief, they will slow down to see the scenes change from one to the next. There’s a flow [to the composition], and it’s very unified,” Howard said. Every element is interlaced and integrated in the composition. 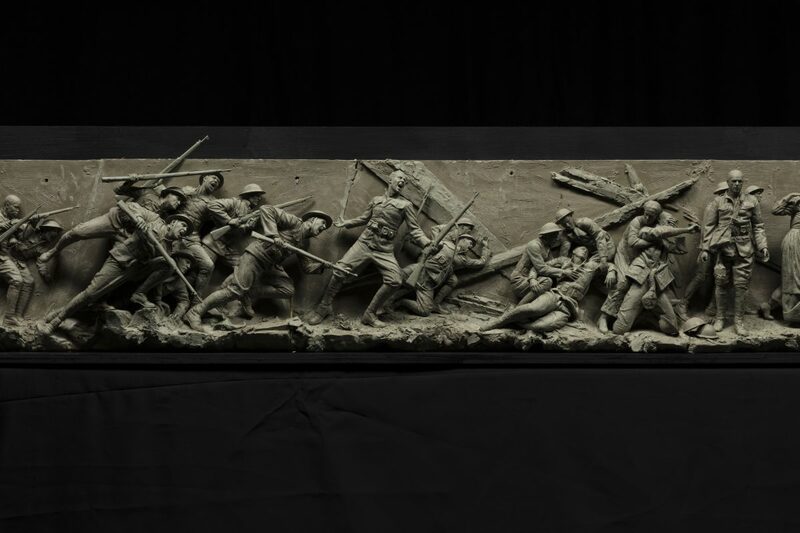 In many ways, Howard’s World War I memorial sculpture will be like a permanent film cast in bronze. It will provide endless opportunities for people to learn, to heal, and to move forward. 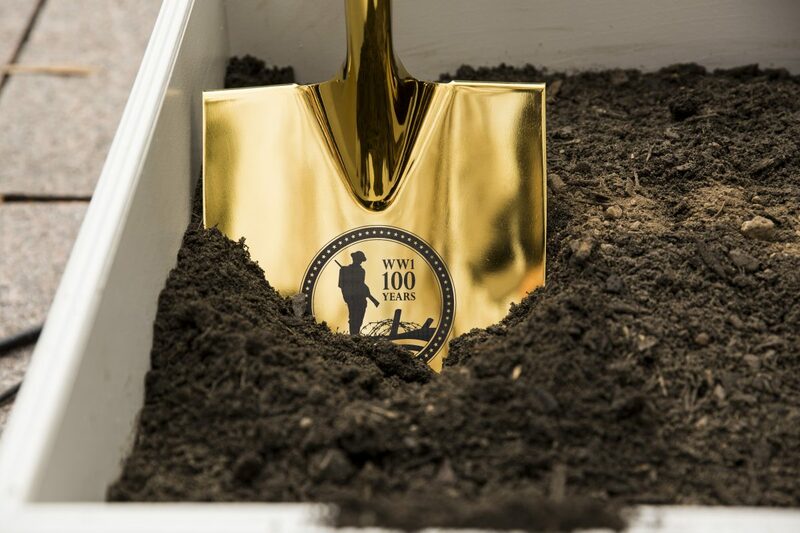 Not only will it honor the 4.7 million Americans who served, but it will also bring attention to the many lessons still to be learned from the most consequential event of the 20th century. It will no longer be the country’s most forgotten war. 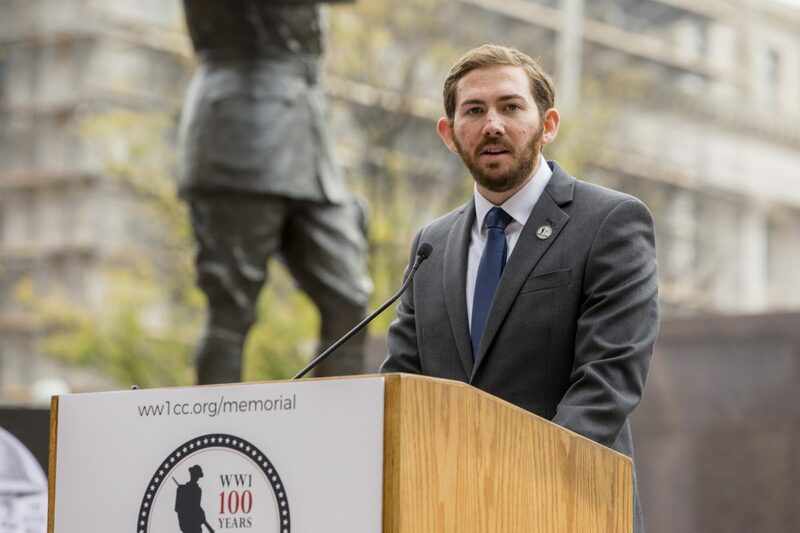 The U.S. World War I Centennial Commission is looking to raise $50 million in private funds for the National World War I Memorial and plans to inaugurate it on Nov. 11, 2018, the 100th anniversary of the end of the war.